Tired of flimsy plastic bowls? The Snow Peak Trek Titanium Bowl is for you. 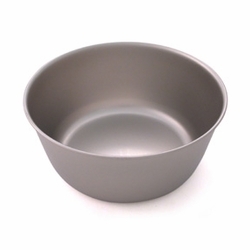 Weighing in at a mere ounce-and-a-half, this is a rock solid titanium bowl that weighs next to nothing. Chow down in style!